Living… in transition. Chihiro and her parents are moving to a new town, one so small that they’ll have do their shopping the town over. For 10-year old Chihiro, this move means the end of the world. She had to leave all her friends behind, including her best friend Rumi. Visiting… a bathhouse in the spirit world. Chihiro and her parents stumbled upon the spirit world on their way to their new home, and her parents gorged themselves on an unattended buffet. To Chihiro’s horror, they both turned into pigs. Now she’s living at the bathhouse, trying desperately to get them back. Profession… student, up until now. At the bathhouse, Chihiro’s stumbled into her first job ever as an assistant to the bathhouse worker named Rin. In order to work there, she’s had to give up her name to the witch Yubaba, who gives her a new one: Sen.
Interests… flowers. But she is bitter that the only bouquet she’s received was a good-bye bouquet for their move. Relationship Status… unattached. She is too young for a boyfriend. However, Chihiro soon develops a close bond with Haku, who helped her into the bathhouse and who is a calm and reassuring presence in this strange, frightening world. She has the strong feeling that she’s known him for a long time, but she can’t remember why. Personality… evolving. 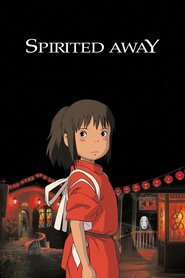 Chihiro is a typical 10-year old, currently caught at her worst moment: she’s sulky about leaving her friends, freaked out by her parents’ behavior at the buffet, and unsure of herself in the unfamiliar spirit world. But after Haku helps her into the bathhouse, she finds that she posses courage, integrity and intuition that she never knew she had. She is calm in the presence of the monstrous No-Face and has an intense resolve to cure Haku. What makes Chihiro so admirable is that you see her finding her inner strength and coming into her own, and that’s motivation for us to do the same. Chihiro's popularity ranking on CharacTour is #196 out of 5,000+ characters. See our top-ranked characters and read their profiles.